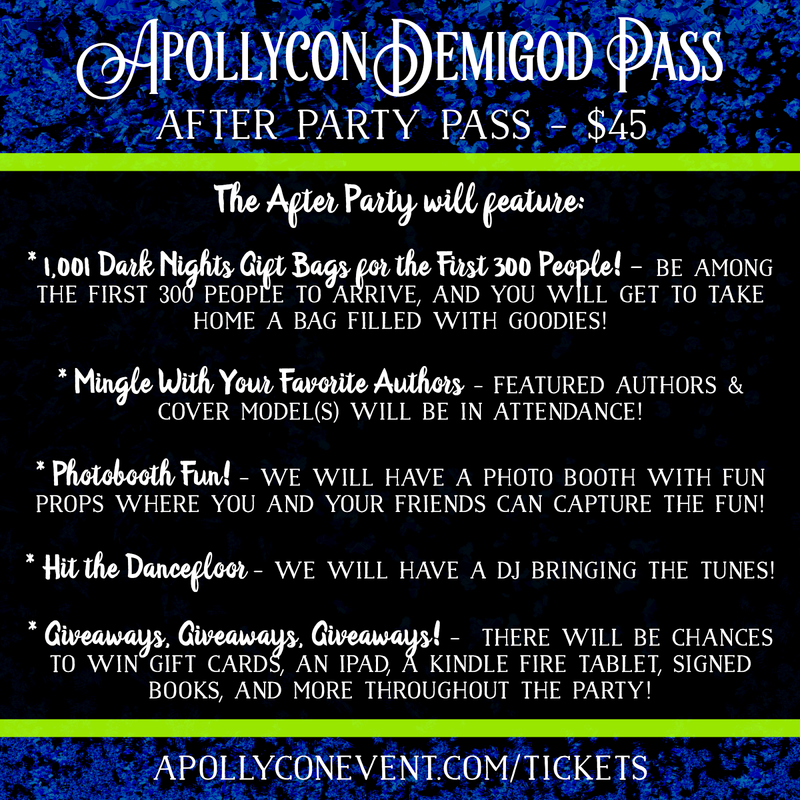 OK, so you've seen the authors, now let's talk about the event and the different passes we'll have at Apollycon!!! 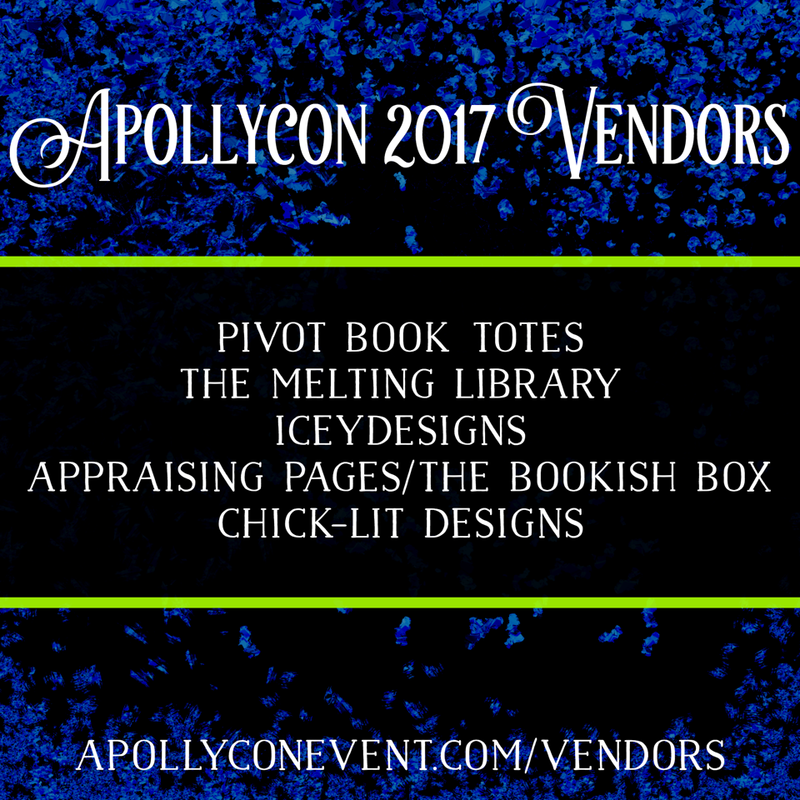 I am also so excited to announce that we've partnered with several bookish-themed online stores who will be at Apollycon, selling products (including some exclusive Apollycon items!). 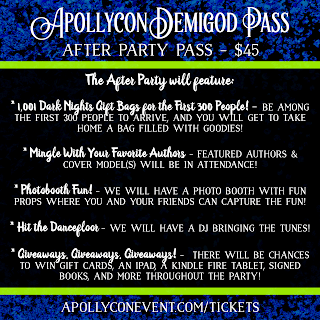 Each store will have their own table so you can get your shop on while you get books signed! When can you sign up for all this magic? Registration will open on JUNE 3, 2016. 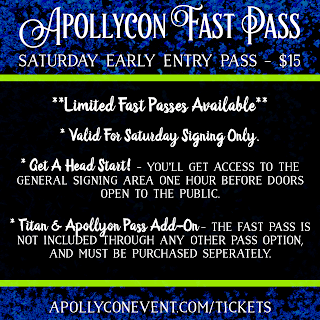 We will email links to registration (both for the event and hotel to reserve rooms) to our newsletter followers first before making it public. 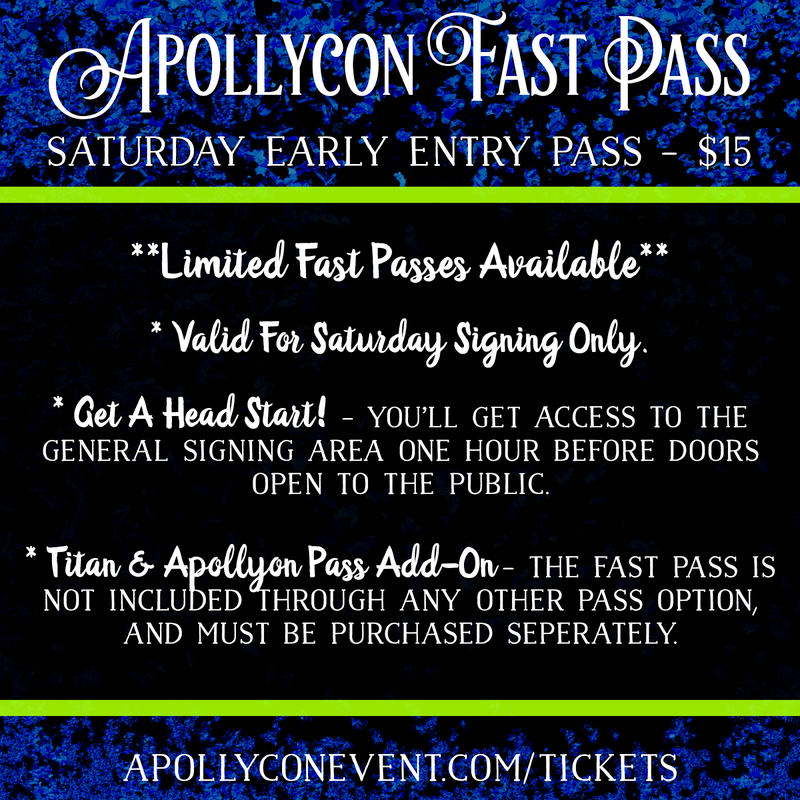 For more info, be sure to check out the APOLLYCON 2017 WEBSITE and check out the FAQ section if you have questions! 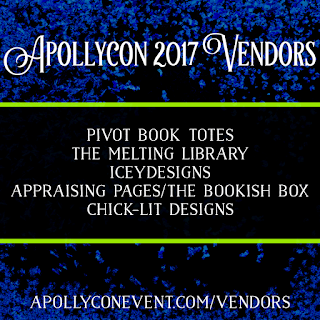 So ... are you going to Apollycon 2017? I am beyond excited for this! The line up is amazing! I'm most excited for Brighton Walsh and Sarah J Maas! I am soooo excited for this! Have to go! 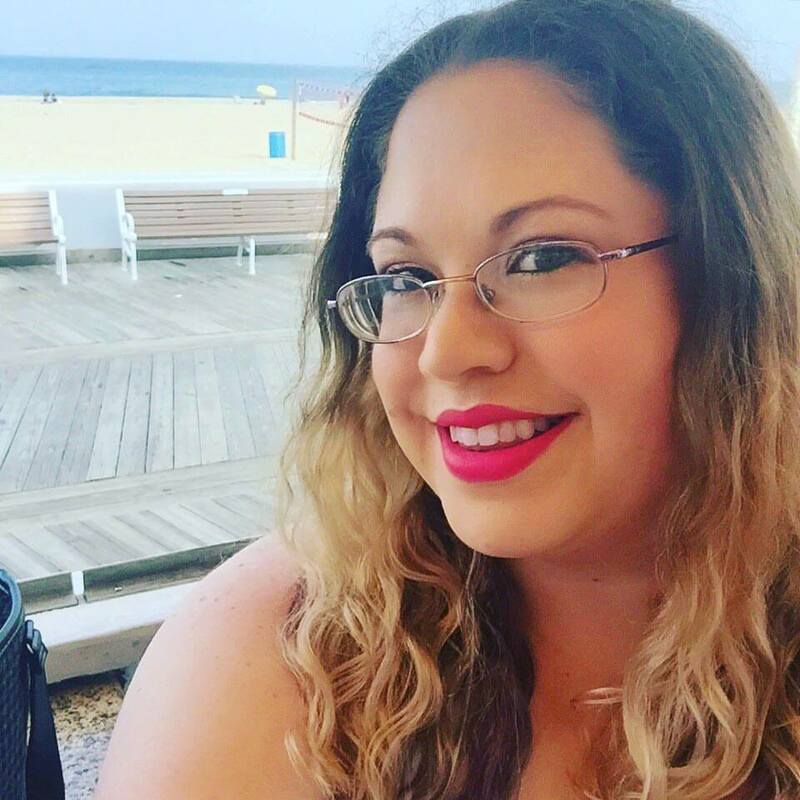 Sarah Jessica Maas & Kami Garcia! I am excited to meet Roni Loren, Samantha Young, Gena Showalter, and Kresley Cole. 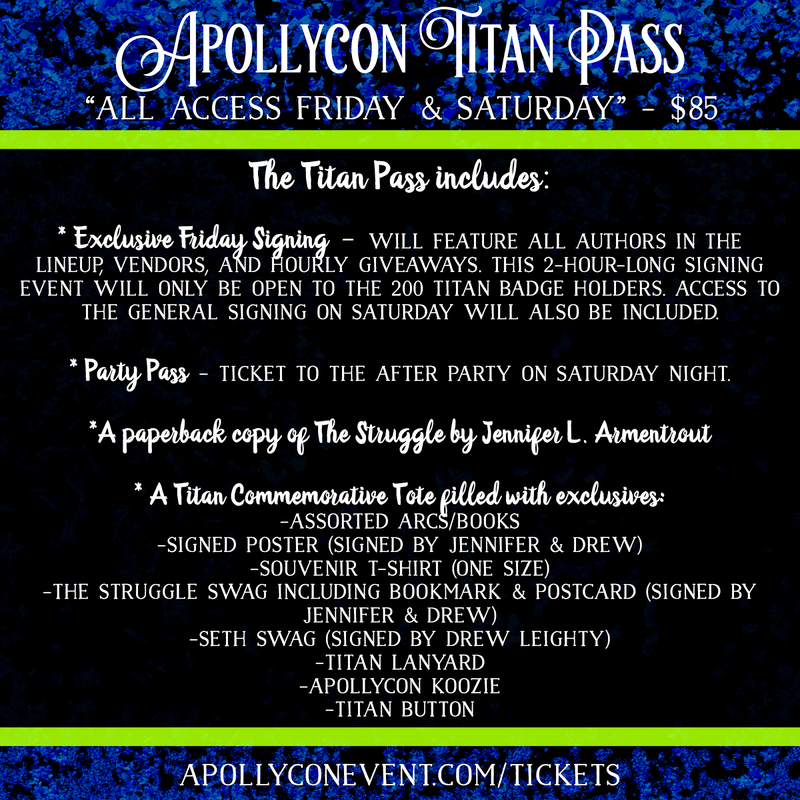 I have not had the opportunity to meet these authors yet and I love their books so this is super exciting!!! 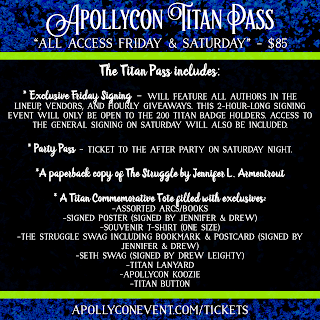 The author lineup is amazing and it should be fun!